Over 190 million years Australia has been separated from the other continents and has developed its own flora and fauna since then. 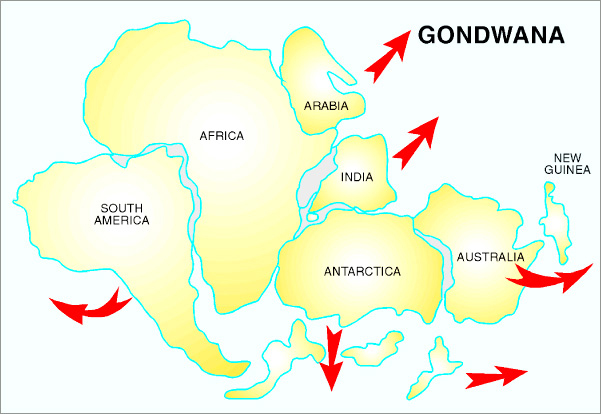 Before its isolation the continent was part of Gondwanaland, along with Antarctica, Africa, Southern Asia and South America. Not surprisingly there are certain similarities between the flora and fauna of those continents and the plants and animals of Australia. At the time of separation the Australian part of Gondwanaland contained relatively few gymnosperms (conifers) and many angiosperms (flowering plants) hence the abundance of flowering plants in Australia and few native conifers. The northern, tropical, part of Australia was connected with New Guinea and Indonesia some 10 million years ago hence the similarities between the flora and fauna of these regions. 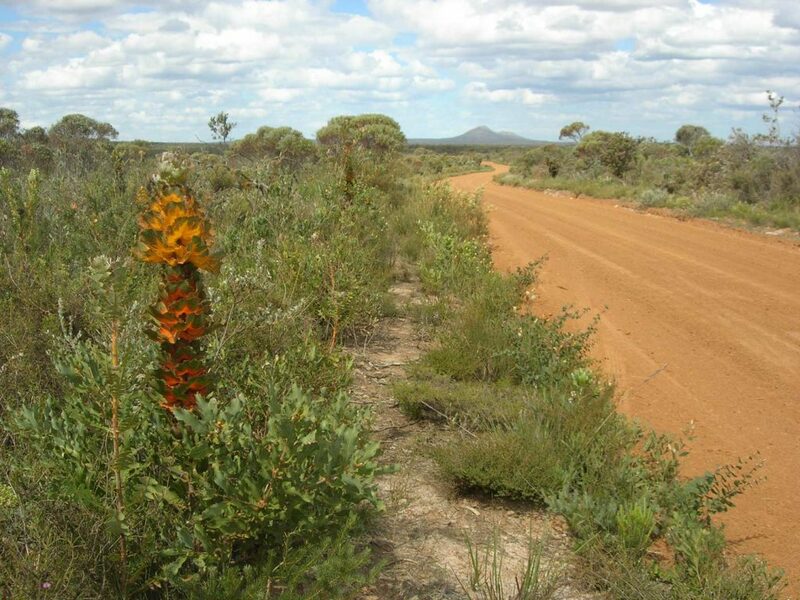 Over millions of years the central and southern part of Australia has become dryer and dryer and the soil is, in general, very poor in nutrients. 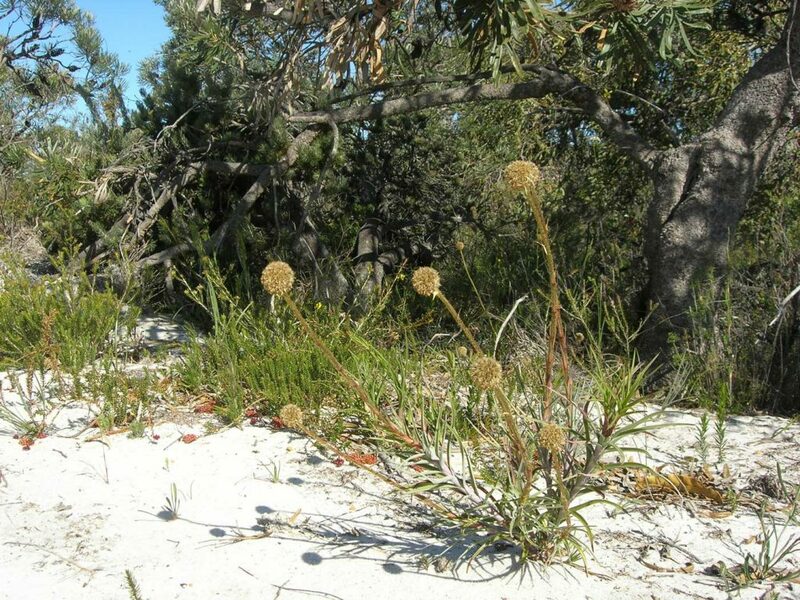 Because of this a great variety of plant species with different adaptations have evolved. Australia has been a relatively stable continent since breaking away from Gondwanaland. The existing mountains have eroded away and in this process most plant nutrients have leached out. In humid and warm rain forests there’s a continuous recycling of nutrients. Under the dry and hot conditions in the major part of Australia however this doesn’t happen. The plants growing under such harsh conditions often evolve thick leathery leaves and a compact irregular habit.